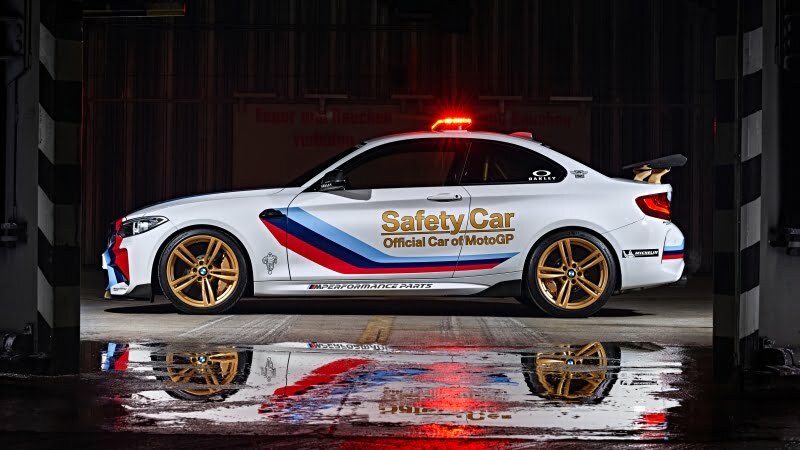 This new 2016 Safety Car will get the BMW M Performance body kit which includes carbon fiber front splitter as well as an extended side skirts along with large rear spoiler and a newly designed rear diffuser. 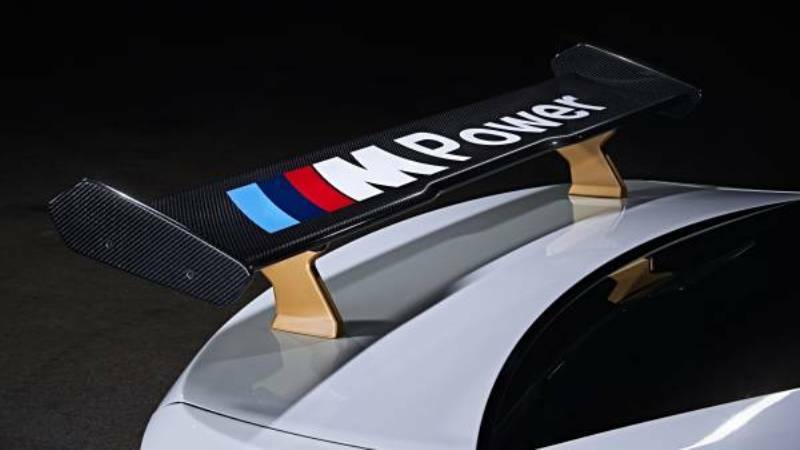 All parts of aerodynamic kit are made from high strength carbon fiber and wind tunnel tested for better performance. 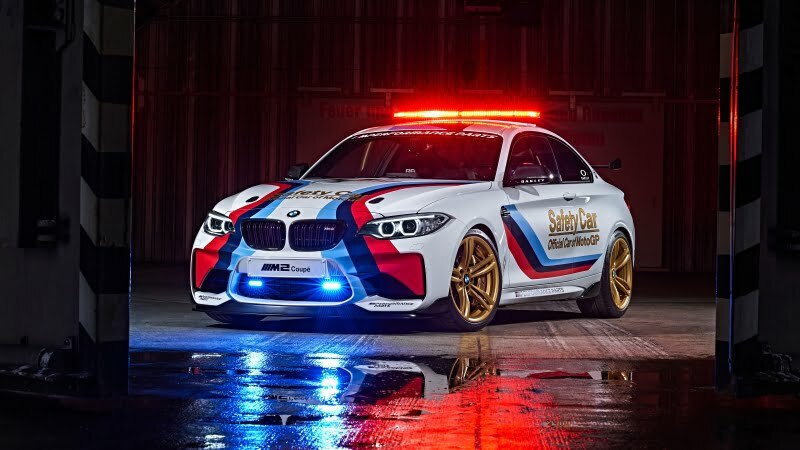 This BMW M2 Coupe will get an adjustable Coilover suspension setup to allow ride height and damping to be adjusted as per the racetrack requirements. 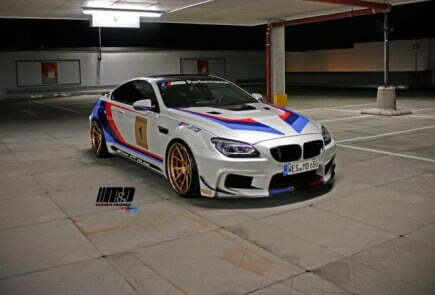 This track monster will roll on a set of gold coloured alloy wheels wrapped in Michelin Cup 2 tires. 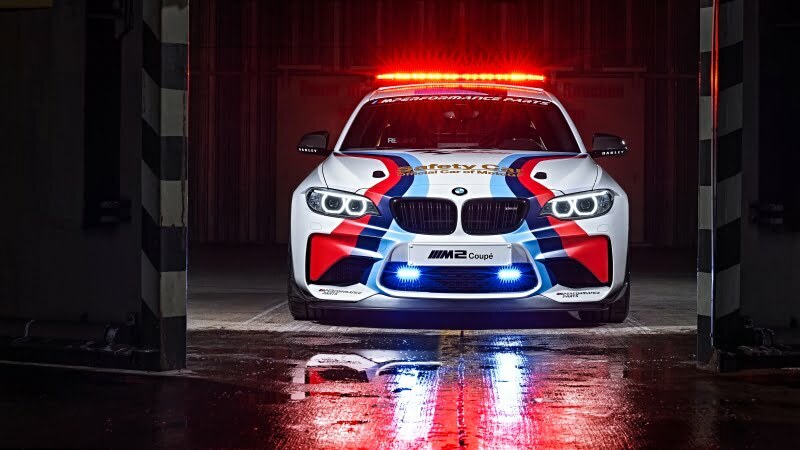 The exterior of the car is painted in BMW M motorsport colour theme; an Alpine white metallic with the traditional shades of blue and red. 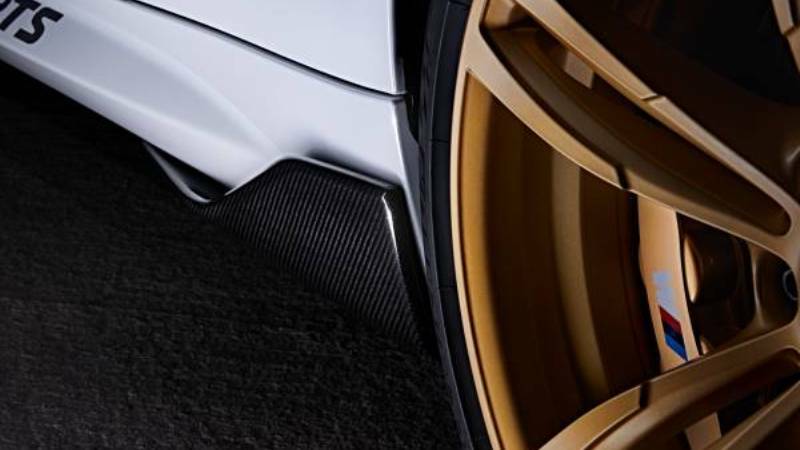 The striking gold treatment on components such as the wheels, the roll cage, M carbon ceramic brakes, rear wing mounts, seat brackets and steering wheel spokes looks absolutely stunning. 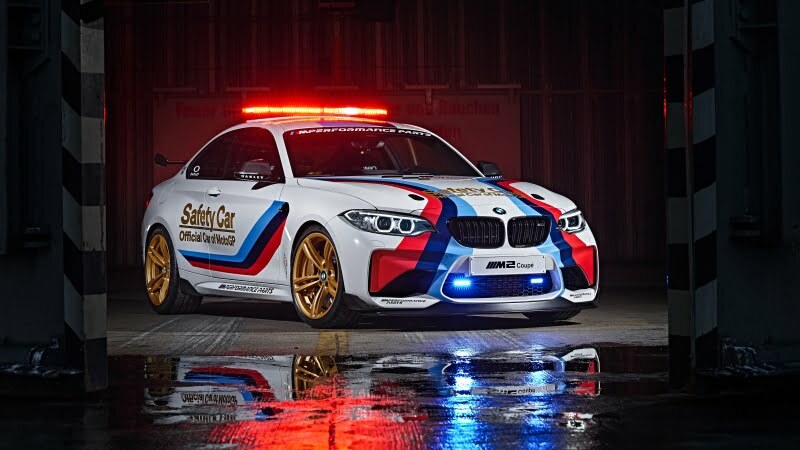 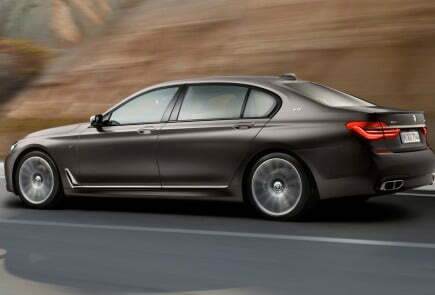 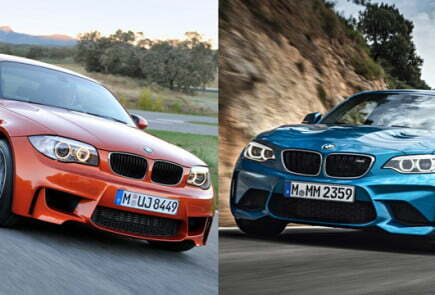 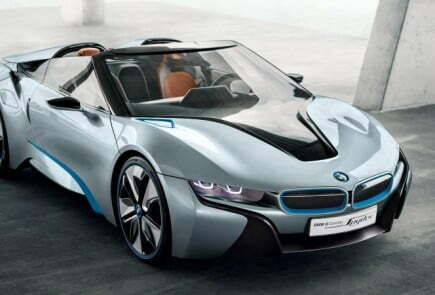 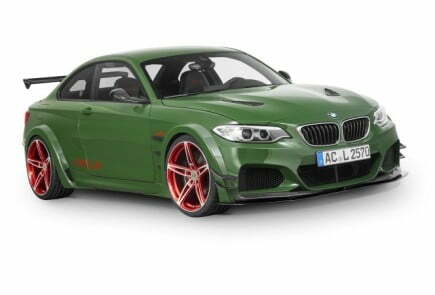 The car will receive an extremely eye catching BMW M livery and flashing LED light bar on the roof. 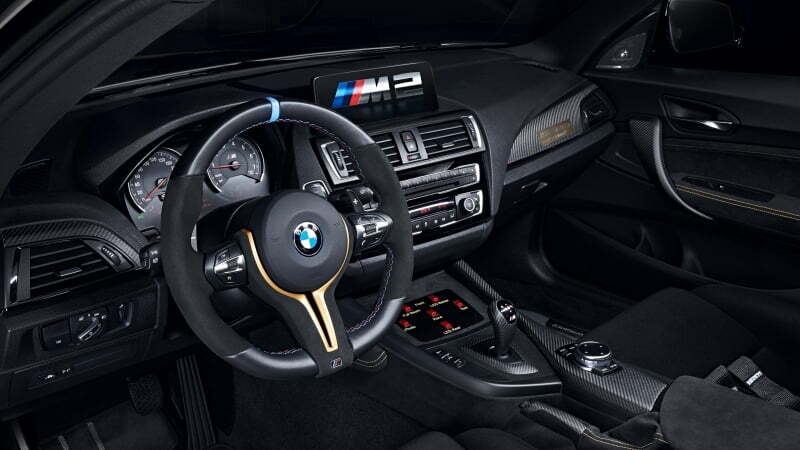 The light bar flash frequency is controlled via a specially developed control panel in the cockpit. 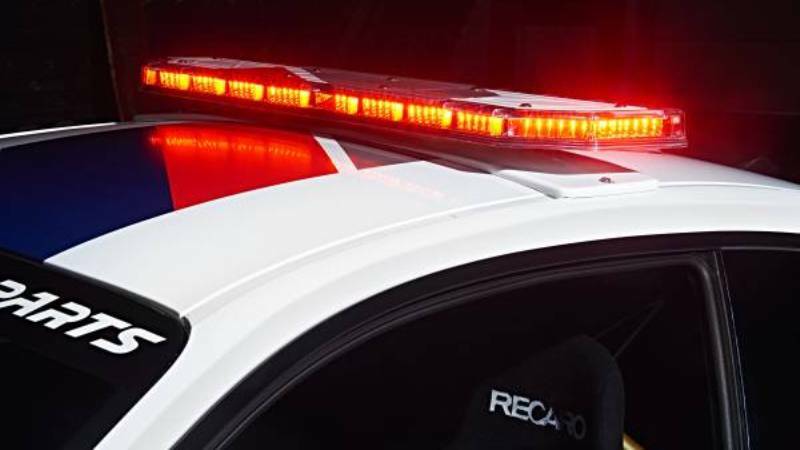 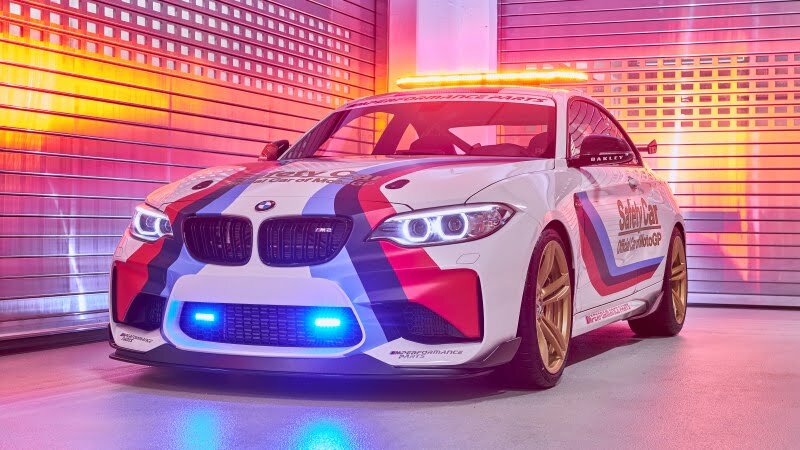 This car will also get a new set of blue LED lights on the front grille and the flashing red LED lights at the place of reversing lights found in the production car. 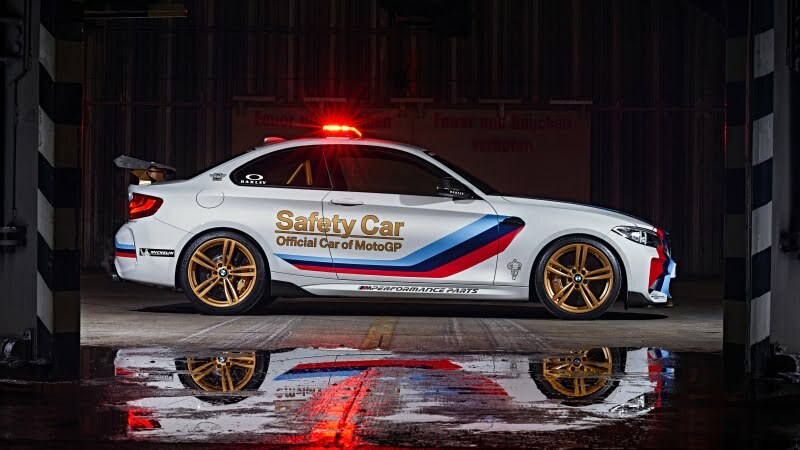 Apart from the exterior upgrades, this Safety car will also undergo some interior customisations and all the upgrades will be done in the BMW M factory. 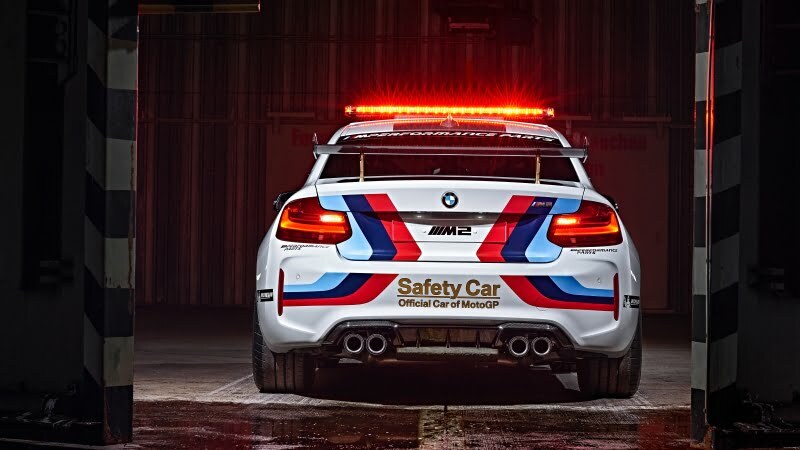 Inside, the rear seats have been removed and now houses a roll cage based on the BMW M4 GTS, welded to undercarriage to meet the special requirements of the M2 Coupe as a racetrack safety car. 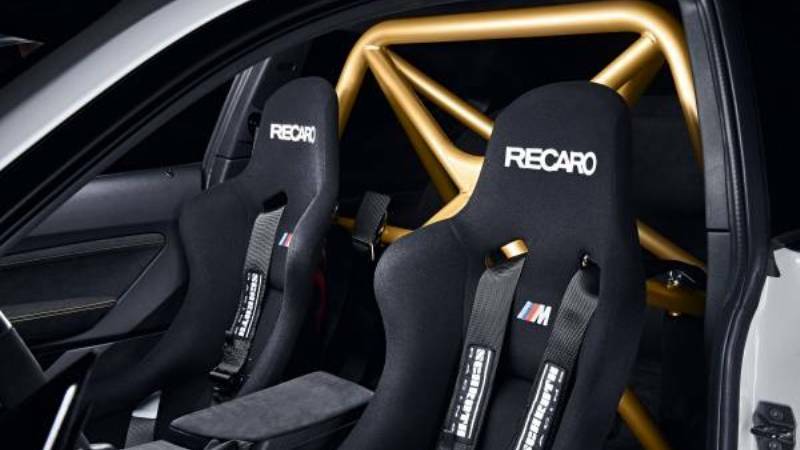 The front seats are specially designed and manufactured by Recaro. 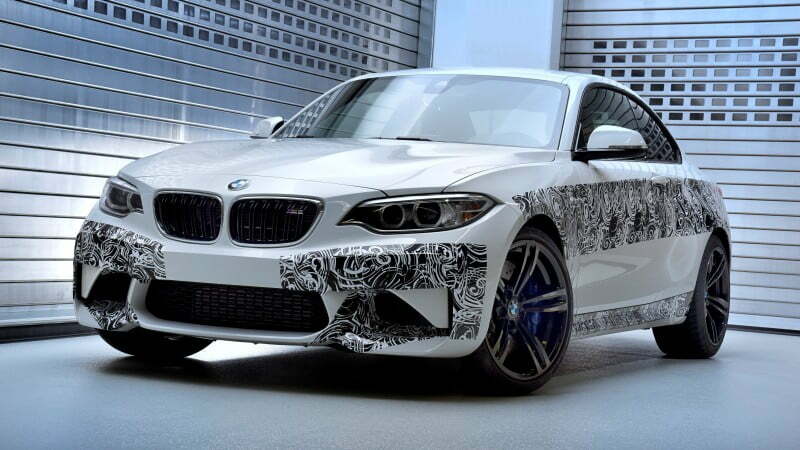 The BMW M2 Coupe comes equipped with 3.0 liter twin-turbo straight-six engine, which is capable of punching 364hp of power and 465 Nm of torque. 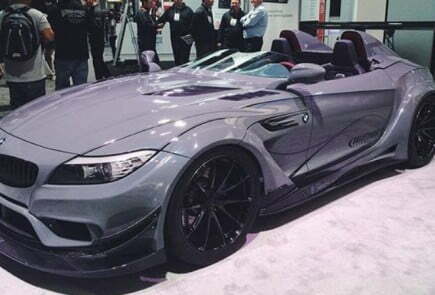 The max speed is limited to 250 km/hr (155 mph) and it takes just 4.3 seconds to hit 0-62 mph speed when paired with seven-speed DCT Automatic. 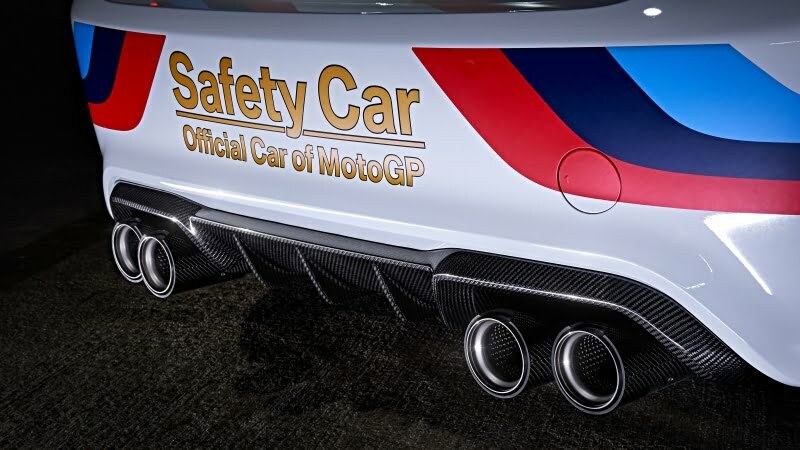 This car will appear throughout the 2016 MotoGP season and will represent racing know-how of BMW M division in its purest form.